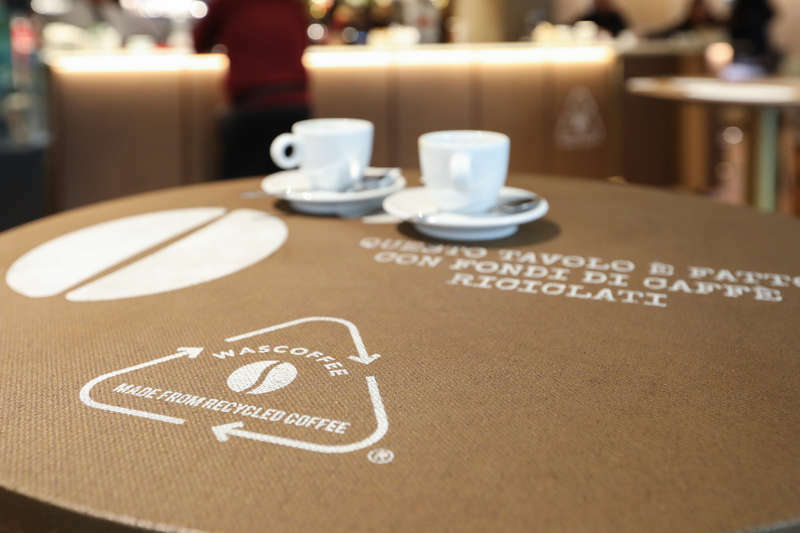 Wascoffee is a new material made with coffee grounds, an open innovation project launched by the Autogrill Group to recycle one of the raw materials most symbolic of its business: the company serves over 100 million coffees a year in Italy alone in fact. Thanks to collaboration with CMF Greentech, an innovative Italian enterprise specializing in eco-sustainable products, it was possible to develop and patent Wascoffee, a 100% natural and recyclable material used to make eco-design furnishings. Wascoffee, which is part of the Group’s wider sustainability programme “A-Future”, made its debut in the City Life Bistrot in Milan at the end of 2017 and has since become a defining element in the "Puro Gusto" and "Bistrot" formats recently opened in Italy and elsewhere in Europe. Of these, the Puro Gusto at Milano Linate Airport has tables, counter and wall panels (showing the life cycle of the coffee bean and a map of Milan) made entirely of Wascoffee. The material has recently been used in Puro Gusto and Bistrot locations in France and Turkey and will also be migrating to San Francisco Airport in 2020. 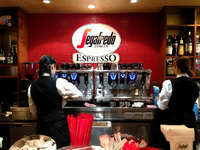 “We decided to present the state of progress on the Wascoffee project at Linate Airport,” explained Silvio de Girolamo, Autogrill Chief Risk Management & Sustainability Executive, “to give concrete proof of our commitment to sustainability in view of plans for a major upgrading of services there. 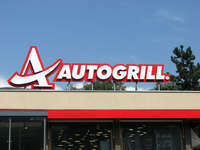 We’re convinced about our choice of this location, a strategic airport serving a city that symbolizes Italian excellence worldwide, to launch Autogrill’s message supporting the promotion of a culture of sustainability and circular economy”. 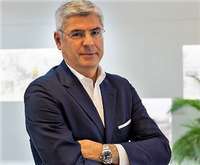 “Wascoffee represents the Group’s concrete commitment to research and development,” said Ezio Balarini, Autogrill Chief Marketing Officer, “which has led to the creation of a sustainable and innovative solution ideal for all the main furnishing elements initially planned for the Bistrot and Puro Gusto formats. Our aim is to help minimize Autogrill Group’s impact on the environment and promote a culture of reuse. Thanks to the virtuous experience of Wascoffee, we’re already working with our partners to identify ways to adapt the project to other materials deriving from the waste our business produces and use them in our processes. We’re also looking at introducing Wascoffee in other concepts”.